When I was 9 years old I saw Deadly Invasion: The Killer Bee Nightmare, a made-for-TV movie about a family who becomes trapped in their house after bees swarm it. I am still waiting for the terror to subside 20 years later. Which is why when I heard a swarm of bees attacked people in Southern California I figured the end of days must be near. I mean, what spells apocalyptic times more than thousands of bees hunting down humans? Three people were reportedly hospitalized after a swarm of bees rose up from an underground utility box late Saturday evening to attack picnickers at Cerritos Regional Park in Cerritos, California, a suburb less than 30 miles from Los Angeles. More than 20 people were stung in the attack, the New York Post reports officials from the Los Angeles County Fire Department said. Witnesses told CBS News the bees seemed particularly intent on jabbing their stingers into the flesh of those with long hair. Descriptions of what went down in Cerritos seem pulled straight from a horror film. "It was thousands. It was thousands, like this whole grass area was covered with bees," one park visitor reportedly told CBS. "They were chasing hundreds of people." Before you dismiss this real-life terrifying episode of When Nature Attacks as a fluke and write me off as a fearmongering bee hater, you may be interested to know this isn't the first time bees in California have taken up arms (err, I mean, stingers) against people. In May, bees were reportedly repeatedly attacking residents and pets around Hitchcock Road in Concord enough that calls were made to the police. The ultra-aggressive bees were suspected of killing two dogs in the neighborhood, according to local paper the East Bay Times. 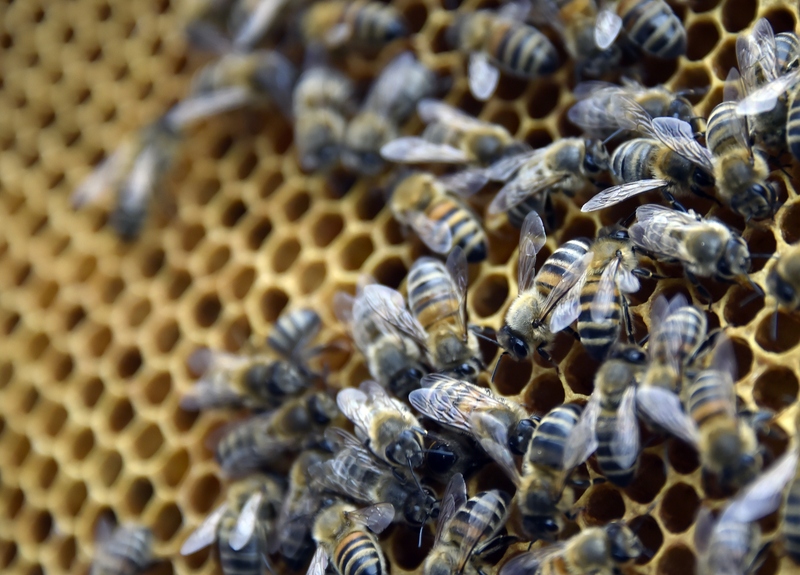 Although initially thought to be Africanized "killer" honeybees, DNA testing later revealed the bees were not in fact so-called killer bees, the San Francisco Chronicle reported. And in 2015, a swarm of bees that attacked construction workers in Riverside, California, killed a man with allergies to the insects. It's unclear why the swarm at Cerritos Regional Park went on the attack. While usually preoccupied with pollination, honeybees can be provoked to aggression for a few different reasons, including the absence of a queen bee or feeling that their hive is under threat. Or perhaps they were merely seeking revenge for the recent deaths of millions of bees in South Carolina following mosquito spraying? While the swarm at Cerritos Regional Park reportedly dispersed after about an hour, some residents are likely rethinking their Labor Day barbecue plans. I know I certainly am.